With Christmas right around the corner there’s a good chance you’re starting to feel the stress that comes along with the gift giving season. While I love Christmas it’s not a reason to go into debt. It happens on the same day every single year. It’s not an unexpected expense and it’s surely not a reason to make credit card charges that you can’t pay off. 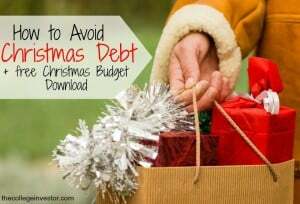 With shopping reminder day right around the corner (Nov. 26th) now seems like the perfect time to make your Christmas shopping plan so that you come in under budget and completely debt free. 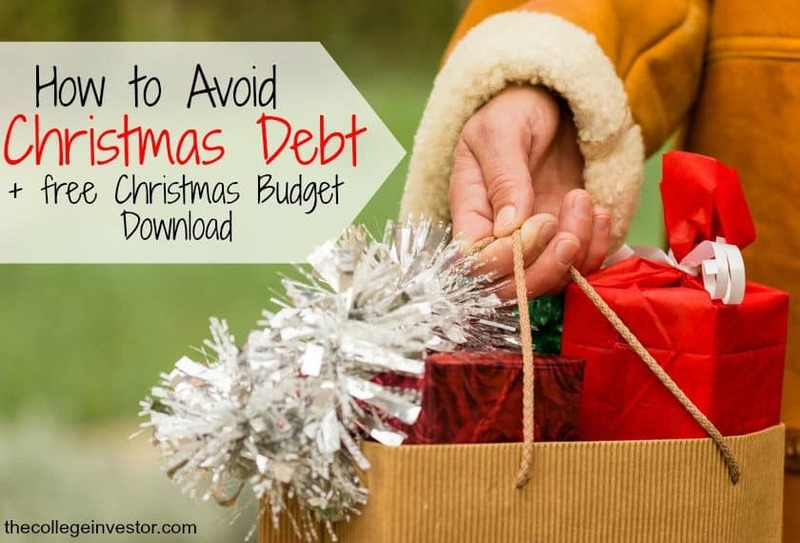 Here are a few tips to avoid debt this Christmas season! I’ve found that one of the quickest ways to prevent myself from making poor financial decisions is to simply review my financial goals. If you haven’t taken the time to review your financial goals lately, now is the time to do it. Think long term and remember that short term decisions – like spending too much on Christmas – can derail you from making progress on the goals that are truly important to you. Now is also a great time to look at the overall view of your financial situation before the New Year starts. Take a look at your savings, monthly expenses, credit score (if you’re a Discover Cardmember you can see your FICO® Credit Score for free on your monthly statement and online,) and debt levels, if any. If your financial picture isn’t looking good at the moment that’s a pretty good indicator that you shouldn’t be spending gobs of money on Christmas gifts. Even if your financial picture IS looking good you don’t want to derail your progress by overspending. But don’t worry, that doesn’t mean that you can’t still have a great Christmas. After you’ve reviewed your financial goals and current situation you should have a pretty good idea of how much money you can spend on gifts. Once you have that overall amount make a list of each person you need to buy for and then divvy up your Christmas budget among those gift recipients. 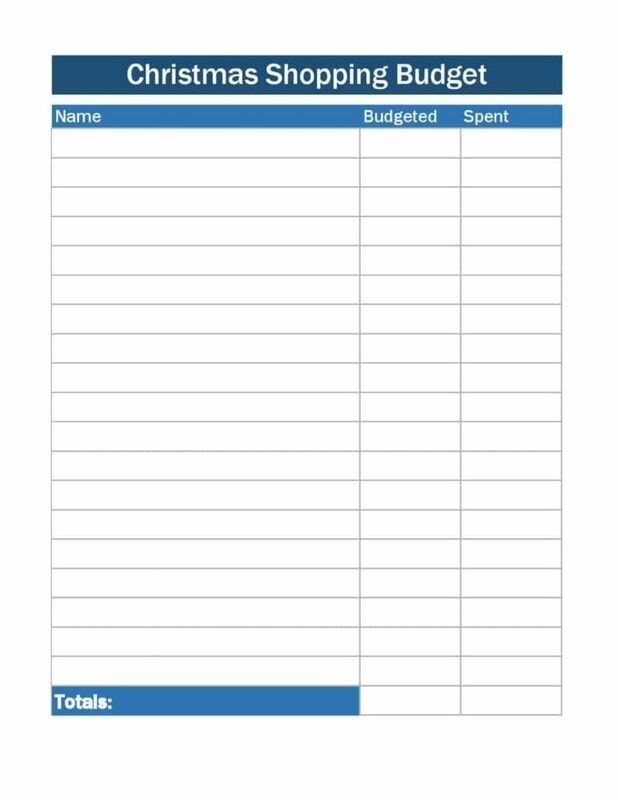 With this printable you can list out all of the people you need to buy for, write out the budgeted amounts, and then record what you actually spent to stay on track. Once you have budgeted amounts for each person start looking for gifts that match your budget. You could even take it a step further and try to come in under budget for each person. Gift Cards – If you give out gift cards check a site like Gift Card Granny to find gift cards at a discount. Stocking Stuffers/Kids Gifts – Find stocking stuffers and gifts for kids such as craft supplies, books, coloring books, and crayons at the Dollar Tree. Check Deal Sites – Start shopping early and check out deal sites like Discover Deals or Top Cash Back to make your money go further. Give Family Gifts – Instead of purchasing individual gifts for family members consider giving a gift for the entire family. Here’s a family gift guide that may help. Food – If you’re a good cook, gift food to the adults on your list. Adults can be hard to buy for anyway so food gifts are always a great solution. Start Shopping as Early as Possible – The earlier you start shopping each year the better you’ll be able to stay on budget. Even if you’ve gotten off to a late start this year remember to keep your eye out for good deals next year so that the shopping stress doesn’t hit you all at once! If the amount of money you’re working with isn’t going to make the cut you do still have time to earn extra Christmas cash. There are only a few weeks left until Christmas but you can check out these 23 income earning ideas to add to a little more money to your budget if need be. If you can’t afford to purchase gifts for everyone on your list then just be honest! Most people are completely understanding and will appreciate your honesty. Christmas should not be a contest on who can spend the most money. Do what you can with what you have. And remember, there’s no need to go into debt over one day of the year. We keep gift giving minimal. We don’t exchange gifts with everyone in our lives. For those who we do exchange gifts with, we try to keep it simple.